Nichole has been a Licensed Physical Therapist in the state of Maine for over twenty years and received her AHCB Certified Therapist from the American Hippotherapy Association in 2015. Nichole's work environments have included inpatient and outpatient rotations in special care, wound care, cardiopulmonary, orthopedics, and neurology. Other places of work include rehabilitation, home care, school based service and therapeutic riding center. Diagnoses treated include Traumatic Brain Injury, Stroke, Hemiplegia, Quadriplegia, Paraplegia, Amputee, Burn Care, Total Joint Replacement, Chronic Obstructive Pulmonary Disease, Impingement Syndromes, Overuse Syndromes, Low back Pain, Disc Herniation, Arthritis, Guillain-barré syndrome, Muscle Strain/Sprain/Repair/Tightness, Soft Tissue Restriction, Rotator Cuff Repair, ACL Repair, Vertigo, Ataxia, Apraxia, and Multiple Sclerosis. Pediatric diagnoses treated include Developmental Delay, Developmental Coordination Disorder, Sensory Integration Disorder, Attention Deficit Disorder, Autism, Rett Syndrome, Down Syndrome, Fragile X, Scoliosis, Chromosome 13 Disorder, Oppositional Defiant Disorder, Achondroplasia, Cerebral Palsy, Microcephaly, Weaver Syndrome and Dermatomyositis. 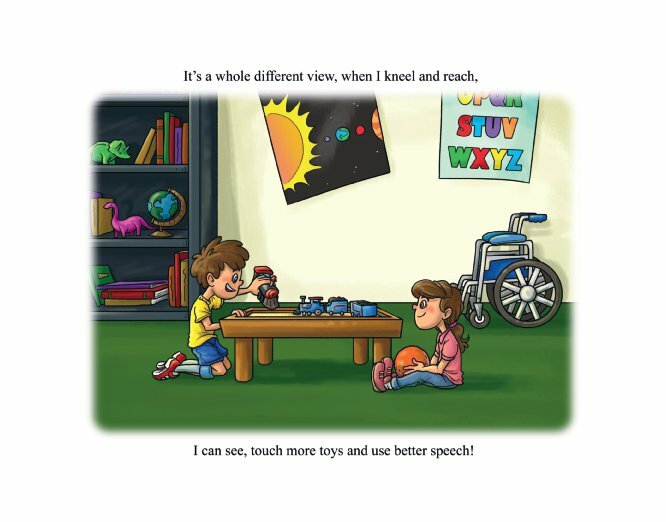 Coby and Miss Strong Play Tall is a children’s book written by a Physical Therapist showing caregivers a variety of therapeutic positions for the student with attentional and physical challenges. The story is written in simple format, in rhyme to keep the child's attention throughout the story. Teachers and students will be taken through the school day of a young boy who is very thankful his teachers provide him with the guidance he needs to perform his best in the classroom, in the gym and on the playground! Included in this book is a Note to Parents and Teachers, Good Body Mechanics for Care Providers, Desk Ergonomics and the Gross Motor Developmental Sequence. 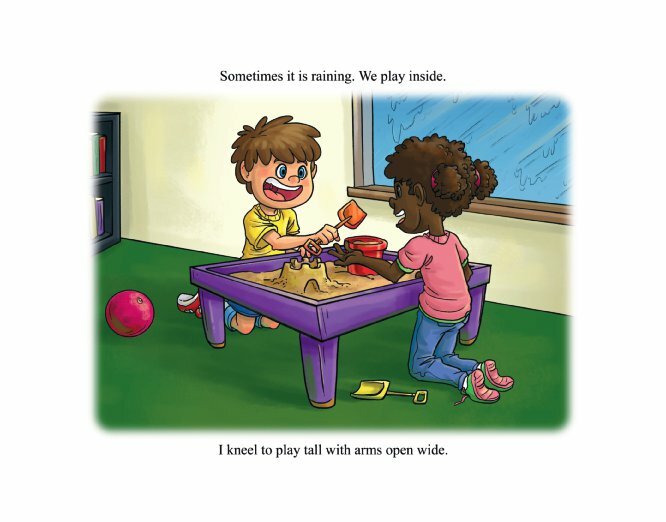 Coby and Miss Strong Play Tall was created in an effort to assist teachers and parents in applying a therapeutic way of handling with their special need students. This children's book is a wonderful reference tool that is easy to implement within the school day. It is both educational for the students, and the staff members who work directly with the physically challenged at school. Coby and Miss Strong Play Tall includes a variety of settings, and postures where Good Body Mechanics, Proper Desk Ergonomics and the Gross Motor Developmental Sequence can be applied. Illustrations are simple, bold and promote guided movement at school. 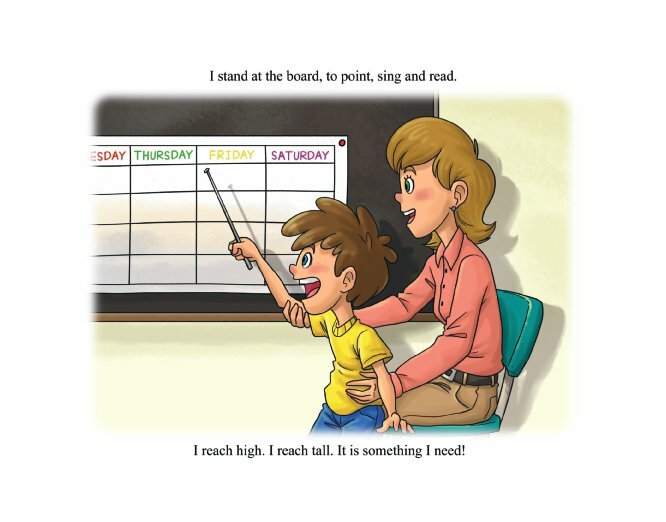 Coby and Miss Strong Play Tall is written in rhyme to hold the child's attention and aid in memory of the lesson taught. Modeling and repetition are needed when learning how to read, write, AND how to assume best working posture at school. "Work Tall and Play Tall" with your students!